Research in the US has found that songs get stuck in our heads because they create a "brain itch" that can only be scratched by repeating the tune over and over. In Germany, this type of song is known as an "ohrwurm" - an earworm - and typically has a high, upbeat melody and repetitive lyrics that verge between catchy and annoying. 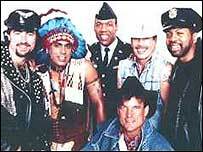 Songs such as the Village People's YMCA, Los Del Rio's Macarena, and the Baha Men's Who Let The Dogs Out owe their success to their ability to create a "cognitive itch," according to Professor James Kellaris, of the University of Cincinnati College of Business Administration. "A cognitive itch is a kind of metaphor that explains how these songs get stuck in our head," Professor Kellaris told BBC World Service's Outlook programme. "Certain songs have properties that are analogous to histamines that make our brain itch. "The only way to scratch a cognitive itch is to repeat the offending melody in our minds." Professor Kellaris has presented the early results of his earworm research at a conference on Consumer Psychology. He said that virtually everyone suffered from a cognitive itch at one time or another. "Across surveys I found that from 97% to 99% of the population is susceptible to earworms at some time," he stated. "But certainly some people are more susceptible than others. Women tend to be more susceptible than men, and musicians are more susceptible to them than non-musicians." The research is of particular interest to both the pop industry - looking to boost sales - and to advertisers, who often use jingles to get their brand name stuck in the head of listeners. "For both advertising purposes and pop music purposes, you want something that once heard is not forgotten quickly or easily," explained jingle writer Chris Smith, adding that a good earworm was "Insidious - and often quite blatant". "One of the key elements of an earworm is repetition," he said. "If you have something with a lot of varied content, it's not so easily assimilated. "So really, I would have thought that for practical purposes an earworm is really something that people can take on very quickly and then reproduce while walking down the street, much to everybody else's annoyance." Even the greatest musicians had suffered with earworms, Mr Smith said. 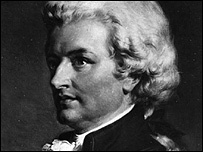 Mozart's children would "infuriate" him by playing melody and scales on the piano below his room - but stopping before completing the tune. "He would have to rush down and complete the scale because he couldn't bear to listen to an unresolved scale," Mr Smith related. Professor Kellaris said that his research had shown that there was, however, no standard for creating an earworm - people could react differently to different tunes. "I compiled a top 10 list of earworms in the US, but the number one item is simply the category 'other' - which means that any tune is prone to become an earworm," he said. "It's highly idiosyncratic." And he added that there was also no guaranteed way of ever getting the song off the brain. "Replacement strategies rarely work, because as we search our memories for a replacement tune, we're likely to come up with another earworm," he admitted. "Some people swear by completion strategies - if you listen through a piece in its entirety, some times that will make it go away."